Felice Moving offers local and long distance moving and storage services as well as packing and crating for household and office relocations. 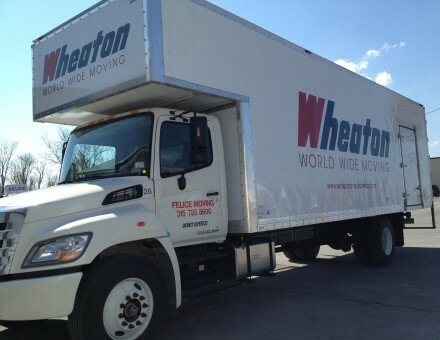 As a Wheaton World Wide Moving agent we are certified for interstate moves. Felice also offers self storage and warehouse storage in more than 100,000 square feet of warehouse space. With locations in Watertown and Rome, New York, Felice can service customers worldwide. Our professional movers provide award winning customer service. When you select Felice Moving, you choose trustworthy and affordable movers who treat you and your belongings with the up-most respect.